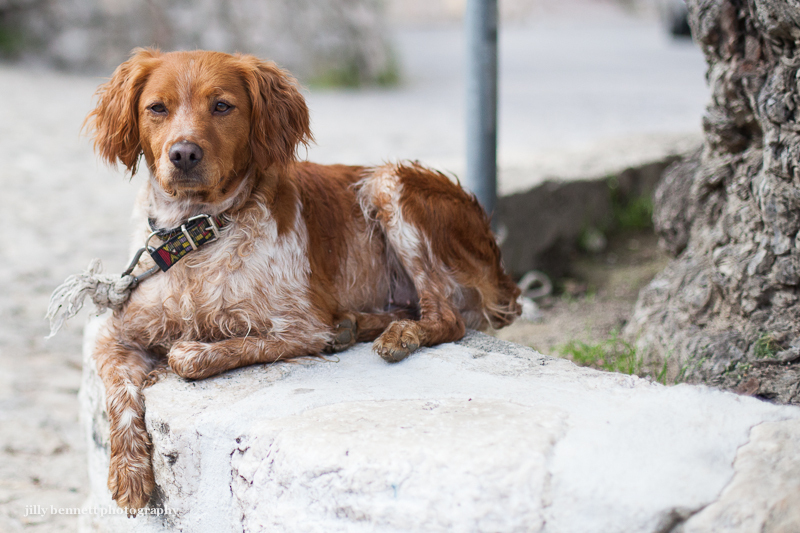 This is Rita, a two and a half year old Brittany spaniel. 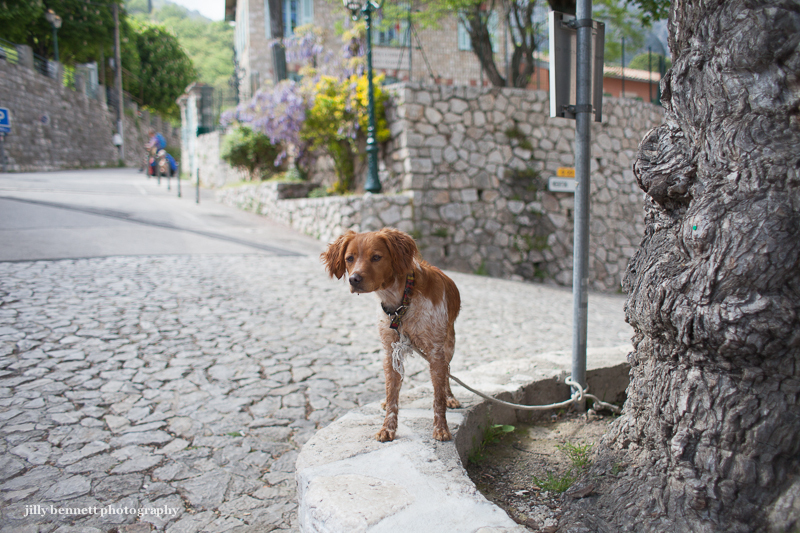 She's sitting by the 300 year old elm tree in Gorbio's square, waiting for her owners who are having a drink in the bar. Her eyes never leave them. And in the photo below - they are coming, they are coming ...! 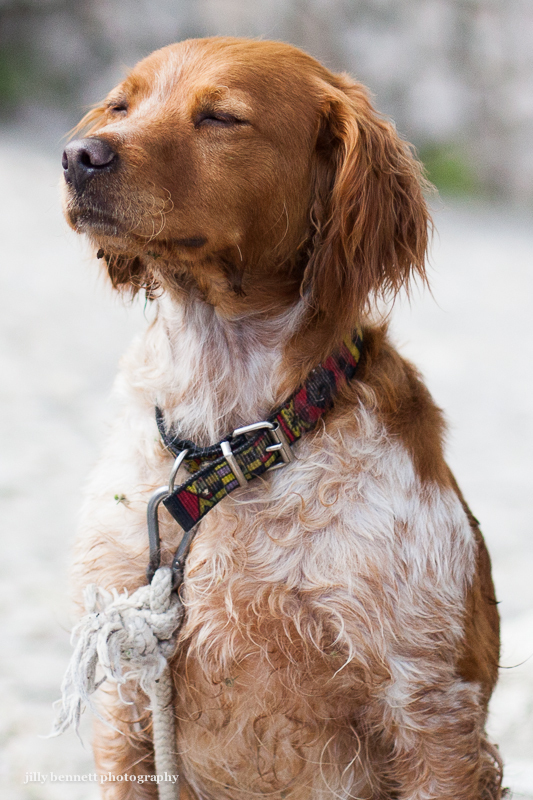 What a beautiful spaniel and such a pretty colour too ! The love of a dog, 'Priceless'! 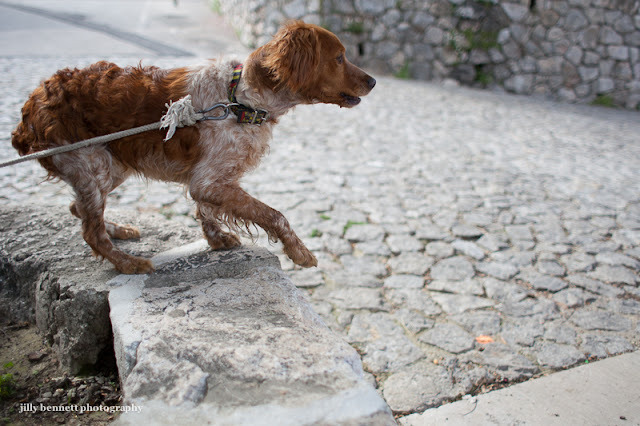 Dogs... How devoted they are .... Great shots Jilly! 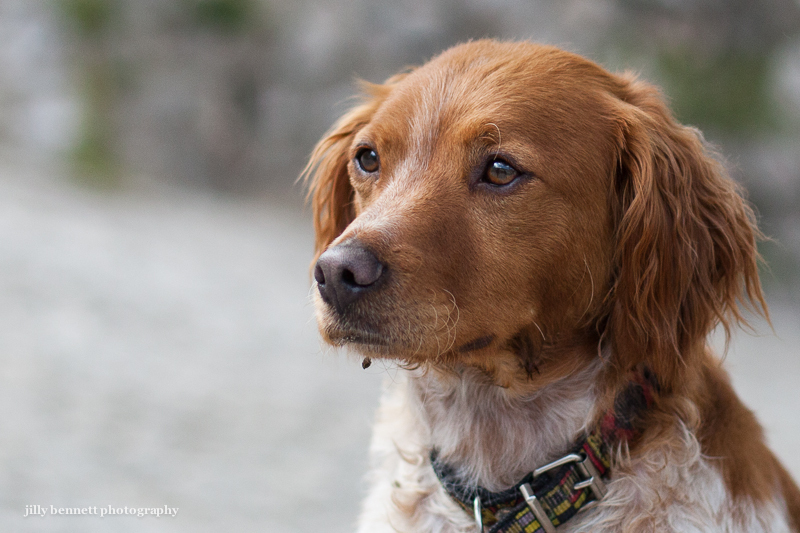 Life is good with a faithful friend like Rita!